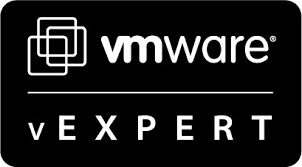 Today VMware Labs released a new version of the Horizon Toolbox 2. This is a useful add-on which extends the management capabilities of any existing VMware View implementation. If you administer a VDI installation on a daily basis then I’m sure you’ll find a number of its features useful. Port 18443 is the default port but can be changed. Login using your View Administrator credentials. The biggest feature for me by far is the ability to view a users console when assisting them with an issue. The saves me having to separately login to the vCenter, finding their desktop and connecting. The toolbox allows you to configure power-on policies for individual desktop pools. For an environment like a call centre this can be a huge advantage. The above are just a couple of the many features included in the toolbox. The toolbox is a handy add-on and best of all – it’s free! Make sure you check it out.